If you live in the mountains and your property slopes, then you understand what Erosion means and how important it is to try and prevent it. According to Wikipedia “Erosion is the process by which soil and rock are removed from the Earth’s surface by natural processes such as wind or water flow, and then transported and deposited in other locations.” Erosion controls can be used to keep the soil in place by slowing down the sp eed at which wind or water moves across the surface. Erosion control blankets help stabilize slopes, retain moisture for seed germination, and reduce wind erosion. These blankets can be made out of straw, coconut fiber, aspen fiber, jute, or plastic. Native grasses should be used in any seed germination project. 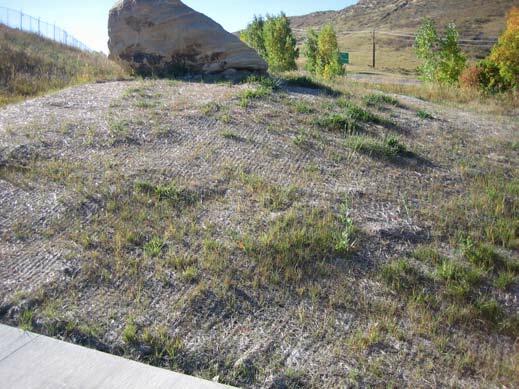 To learn more, please see the Small Site Erosion & Sediment Control Manual published by the Jefferson County, Colorado Planning and Zoning Division. The last two pages of this document include information about native grass seed mixes which can be purchased from the Pawnee Buttes Seed, Inc. This documentation was obtained and submitted by Paul Ellis for all to reference.